Using the Tolerance Analysis option of the Multiple Run Wizard, you can analyze the effects of variation of parameters / initial values on the performance of your model. Three methods of Tolerance analysis are supported in the Multiple Run Wizard. One of these methods is Sensitivity analysis. 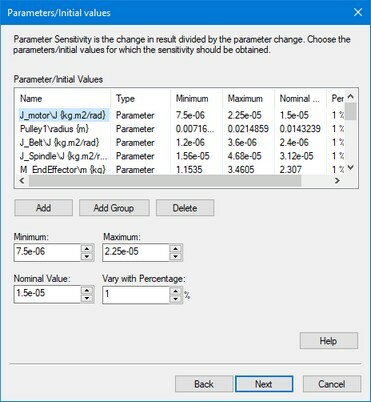 A large sensitivity means that the result is highly dependant of the parameter value. This can be used for optimization (change the parameter value) or design (change the design to make it less dependant of the parameter). 1. 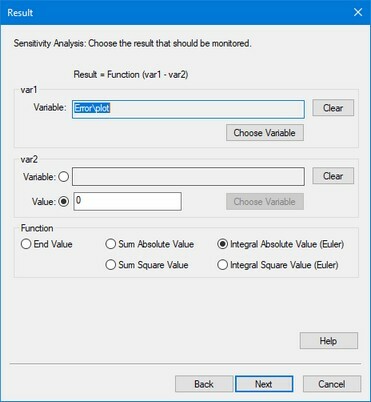 From the Tools menu select the Time Domain Toolbox and then Sensitivity Analysis. 5. Enter the result here using the various options of the window. 7. 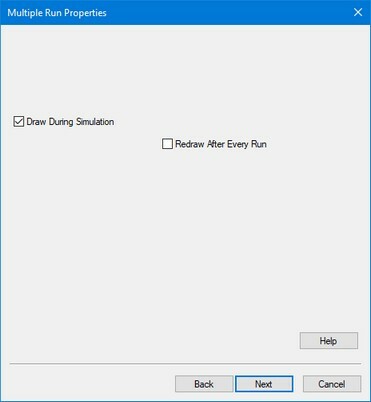 Select the desired run options and click the Next button. 8. Click the Finish button to close the Multiple Run Wizard. 9. 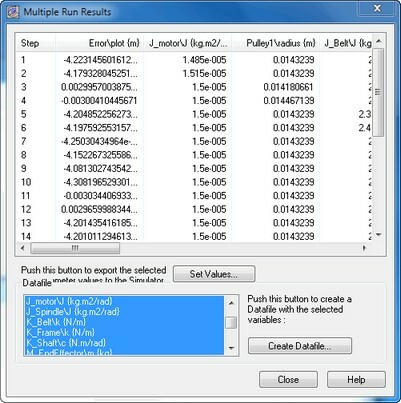 From the Simulation menu click the Multiple Run command to perform the Sensitivity Analysis. • Multiple Run Values: Choose this button to open the list that shows the output of the various runs performed during the sensitivity analysis. • Close: Close the Sensitivity Analysis Results Window. In the Results list of this window the subsequent runs are shown and the corresponding sensitivities.